Hi everyone! So I’m writing this email from my hotel in Lucknow India! The past 48 hours have been a whirlwind of emotions, with Highs, lows, Happiness, Sadness, and a fair share of frustration. On Thursday night, I had a wonderful going away dinner with Top, United, Mr. Doyne, and all of the fellows. It’s become a bit of a tradition amongst the fellows, that we go to dinner two nights before someone’s departure, followed by a last night with the kids. We had a blast at dinner, and I was fortunate to sit next to Top who has become one of my favorite people in the world during these six months. On Friday, I woke up early for my last full day at Kopila and enjoyed a pot of coffee with some of the other volunteers. During the day there were lots of tears, especially from Amrika Auntie who is potentially the nicest person I’ve ever met in my entire life. She is my “sister” for life, and I love her so much. Despite the fact that the language barrier is quite steep, we’ve managed to build a wonderful relationship out of smiles and laughs. Seeing her well up throughout the day was extremely tough, and we had a wonderful bonding moment when she delivered a going away scarf she knit for me. Speaking of scarfs, Kasum auntie also sewed me the mother of all scarfs as a going away present. Over the next month, I’ll be sure to send out some pictures while rocking the scarf. 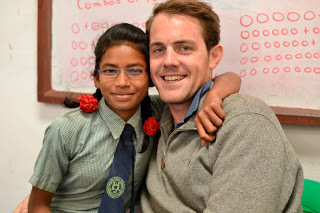 In addition to the aunties, Friday afternoon also meant saying goodbye to some of my favorite children at the school. I gave all of my favorites a picture, and a treat to say so long. After school I got ready for my final coaching assignment against the Army school. The army school is the toughest soccer program in the area, and hasn’t lost in a very long time. That said, are boys put up one heck of a fight. We were locked up in a 0-0 tie at the end of the first half. Unfortunately, the first half was 35 minutes, and for some reason they made the second half 45 minutes. As a result of the miscommunication they scored 3 goals in the last “ten minutes” of the game when we were playing extremely aggressively thinking the game was over. Despite the final score, I was incredibly proud of our boys, and it was a really nice goodbye to the soccer team. Friday night we had our farewell satsung and movie night, followed by a very early wakeup Saturday morning. It was a wonderful goodbye, and nearly all of the aunties, uncles, volunteers, and many of the kids came to say goodbye to Bobby and I. 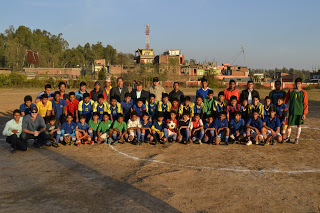 The transition was made a bit easier by the team that drove us down to the border. Seven of us drove down, including the principal, Top, Kasum, Gogan, and United. 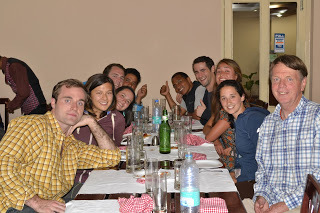 We had one final nice breakfast at Kitchen Hut in Nepal Gunj, and then got to the border. The army of helpers was wonderful, and they really helped Bobby and I get through a very stressful process. Upon saying goodbye, I think the gravity of everything hit me and for the first time during my last two days I got a bit worked up. Not to sound too sappy, but something in Gogan Uncles eyes as he said goodbye really got to me, and I just about lost it. I will miss everyone immensely, and I look on the past six months as some of the happiest in my life. After our departure, we got in our cab for the five hour drive down to Lucknow. Unfortunately, we missed our train due to a big accident, and were forced to stay here rather than making it to Agra yesterday evening. After some very stressful moments at the train station we managed to get a train for today and will be reaching Agra last night. The silver lining came when we stumbled upon a Dominoes and McDonalds last night. Never in my life have chicken nuggets, fries, breadsticks, a pepperoni pizza, and a Mcflurry tasted so good! I think that’s all for now…Apologies for the scatterbrained blog post. 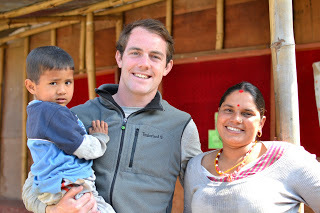 I’ll be sure to post a better reflection on my time at Kopila soon. Just a bit frazzled from this entire Indian experience thus far, which does not lend itself to quality writing. I’ll be sure to keep everyone updated on our travels!